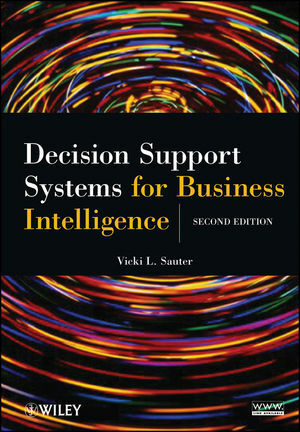 Decision Support Systems for Business Intelligence, Second Edition is an excellent book for courses on information systems, decision support systems, and data mining at the advanced undergraduate and graduate levels. 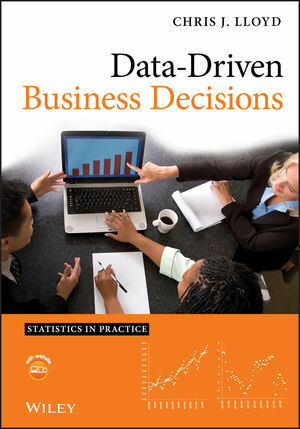 It also serves as a practical reference for professionals working in the fields of business, statistics, engineering, and computer technology. VICKI L. SAUTER, PhD, is Professor of Information Systems at the University of MissouriSt. Louis. She has published numerous journal articles in her areas of research interest, which include systems analysis, decision support systems, and Web development. Dr. Sauter currently serves as an Associate Editor for the Journal of Decision Support Systems Technology and INFORMS Online. I. Introduction to Decision Support Systems. Chapter 3. The Data Component. Chapter 4. The Model Component. Chapter 4S. Intelligence and Decision Support Systems. Chapter 5. The User Interface. Chapter 6. International Decision Support Systems. Chapter 7. Designing a Decision Support System. Chapter 8. Object Oriented Technologies and Decision Support Systems Design. IV. Extension of Decision Support Systems. Chapter 10. Executive Systems and Dashboards. Chapter 11. Group Decision Support Systems.